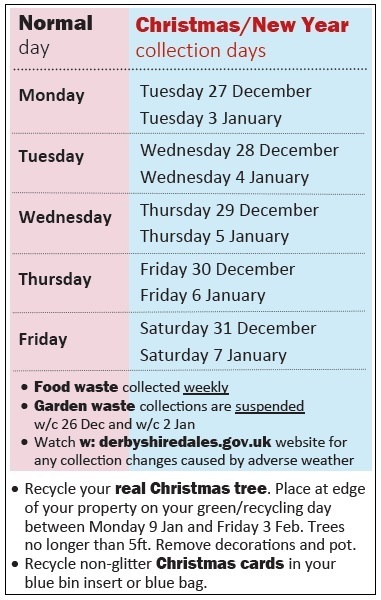 All the information you need about when you waste will be collected over the Christmas and New Year period is here on our website. Please click here to view all the details. Derbyshire Dales District Council is offering FREE parking in all District Council car parks after 2pm throughout December. This comes on top of residents’ parking concessions that allow local people to park for free every day of the year up to 11am and after 4pm. This means Dales residents have free parking for 21 hours each day over the festive period, which helps local people and local traders. PLEASE NOTE – this offer does not include ON-STREET parking which is operated by Derbyshire County Council. Please make sure your OFF-STREET car park has the Derbyshire Dales District Council logo on the pay and display ticket machine. All information will be displayed in the car parks. Christmas Eve at 4pm – The Children’s Crib Service (includes animals) plus The Wyns Tor Singers. Please dress up Children! 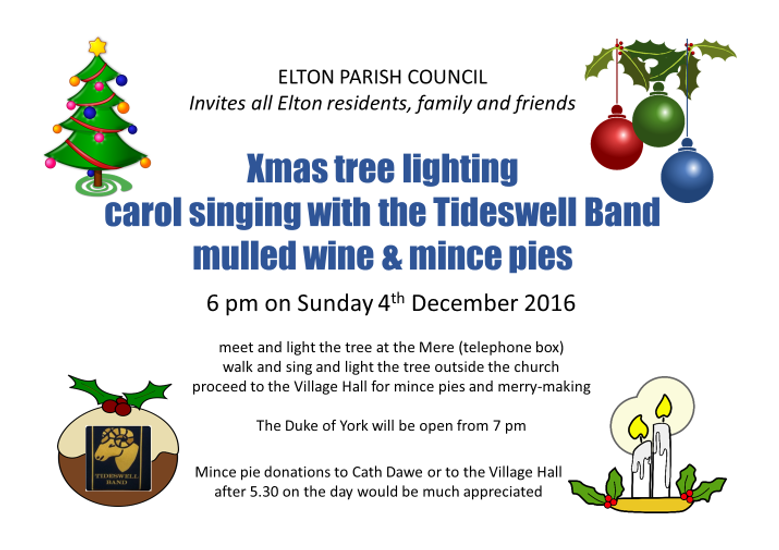 Mulled wine, soft drinks & mince pies afterwards! For more about the Elton Echo or for copies of past issues, please click here.